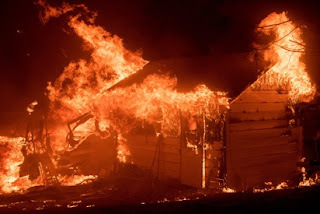 The Kano State Fire Service on Wednesday said that an early morning fire affected one room and seven shops at Weather head Road, SabonGari, in the Kano metropolis. The spokesman of the service, Alhaji Saidu Mohammed, disclosed this in an interview in Kano. Mohammed explained that the incident happened at about 2:19 a.m. on Wednesday, though he could not immediately estimate the value of the goods lost in the incident. He said the fire affected one room in the residential building, while seven shops were slightly burnt. Mohammed said that the quick intervention of firemen prevented the spread of the inferno. He added that the service had commenced investigation into the cause of the fire incident. We received a distress call in the early hours of this morning (Wednesday) from one Mr. Wale Adebayo at about 2:19 a.m. that there was a fire outbreak at a dwelling house. “Upon receiving the information, we quickly dispatched a fire engine to the scene, to bring the fire under control,’’ he said. In a related development, Mohammed disclosed that at about 9:37 a.m. also on Wednesday, a dwelling house (one parlour and one room) and a warehouse at Bello Road also got burnt. He, however, advised residents to be more careful, especially during the dry season and to desist from using instruments that could trigger fire incidents in their neighbourhoods.